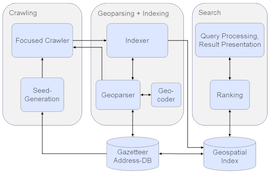 On this page I maintain resources about my dissertation on Geographic Information Retrieval. 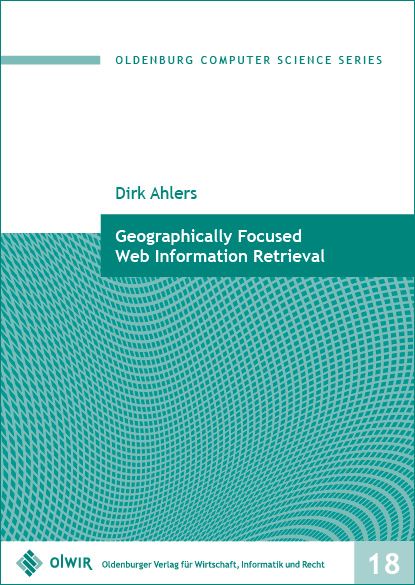 It examines methods of geospatial Web search and was written under the supervision of Susanne Boll of the University of Oldenburg at the OFFIS research institute. 214 p., ISBN: 978-3-939704-69-0, English. Paperback PhD thesis, University of Oldenburg, 2011. 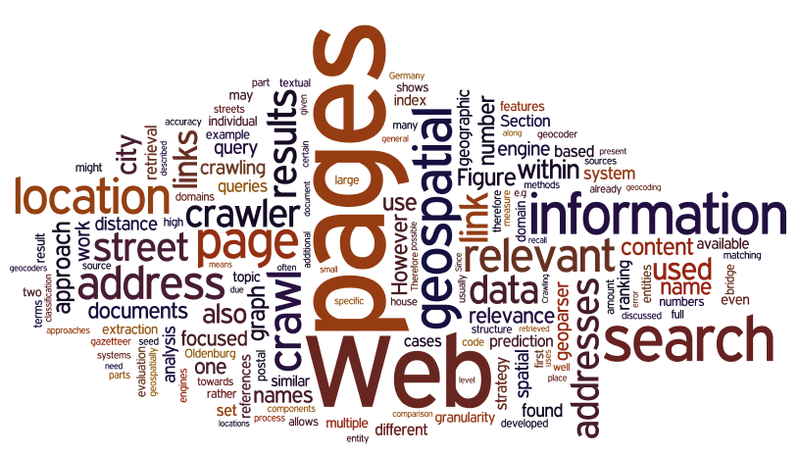 All 273 cited references in bibtex format. Drop me a line if this was helpful to you. Datenbank-Spektrum Volume 12, Number 2, 2012, Section Dissertationen, p.148: Abstract publication. gis.SCIENCE Volume 01/2012 Abstract publication.